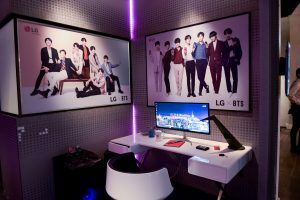 HK ARGENTINA and LG launched the ultra-premium smartphone LG G7 ThinQ and the Smart TV OLED B8 in the context of the #LGSMARTEXPERIENCE event held at the Patagonia Flooring Foundation in Buenos Aires. 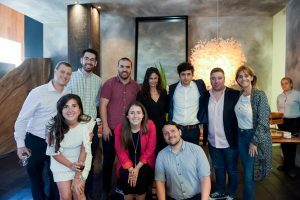 The initiative focused on the arrival of new products to the Argentine market. After a brief presentation by Sergio Jung, Mobile Product Manager of LG, journalists and influencers on site were able to test the features of the new smartphone. In addition, continuing with LG’s commitment to innovation and the future, Maximiliano Firtman, a well-known specialist in artificial intelligence, provided an interactive exhibition on the increasingly advanced integration of smart technology into consumers’ day-to-day. 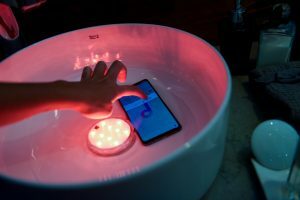 Under the slogan #SmartExperience, participants were invited to interact with the newest LG devices integrated into different spaces that simulated a smart home. This enabled everyone to enjoy an integrated audiovisual experience which generated great results in terms of traditional and social coverage.